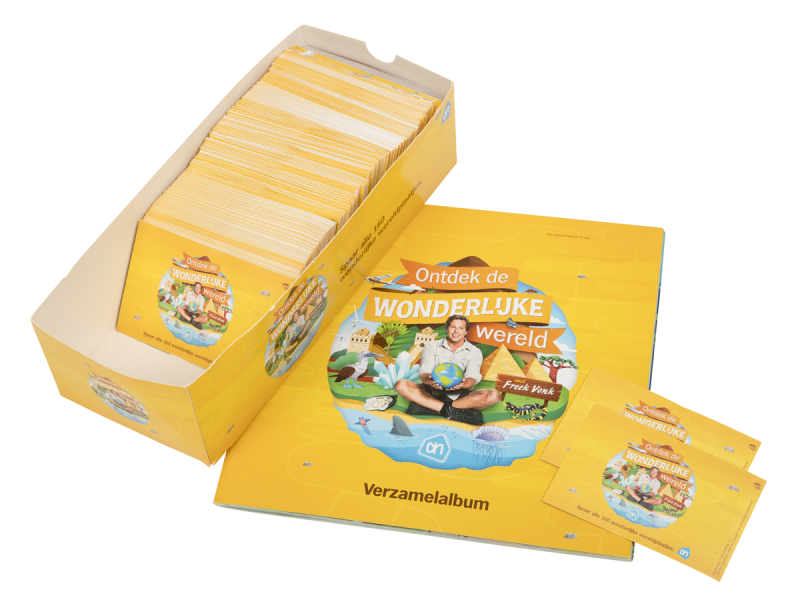 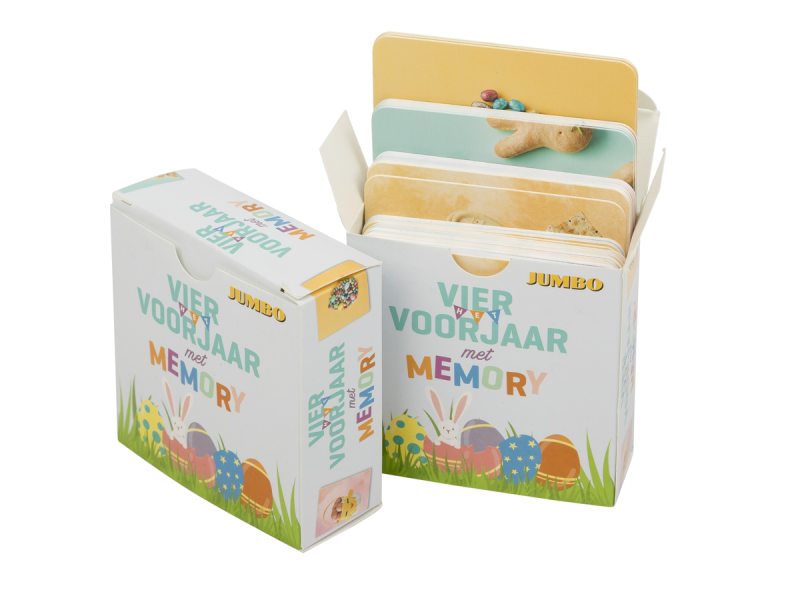 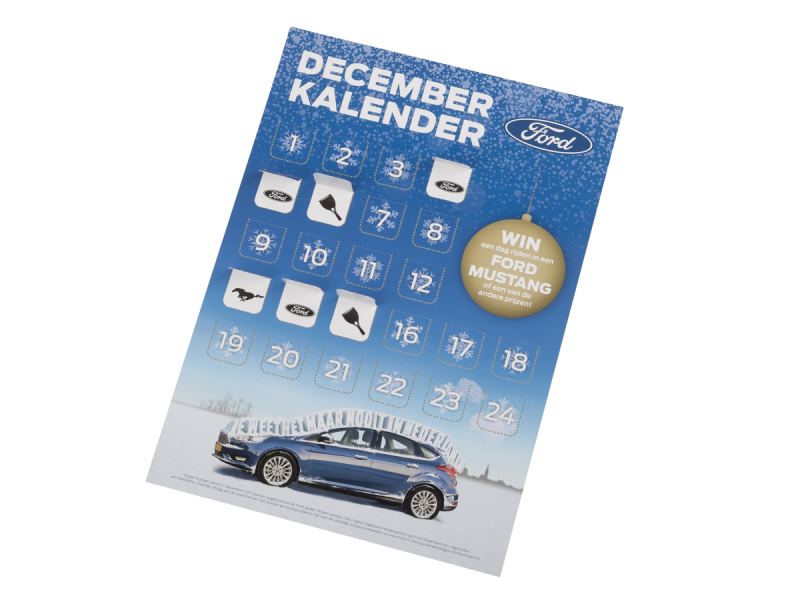 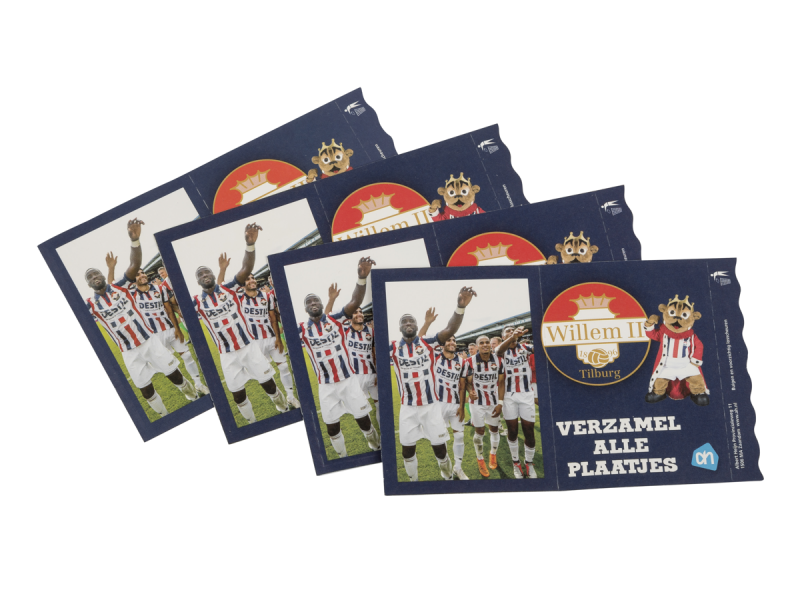 Completing a sticker album and collecting custom stickers is a popular pastime among both children and adults. 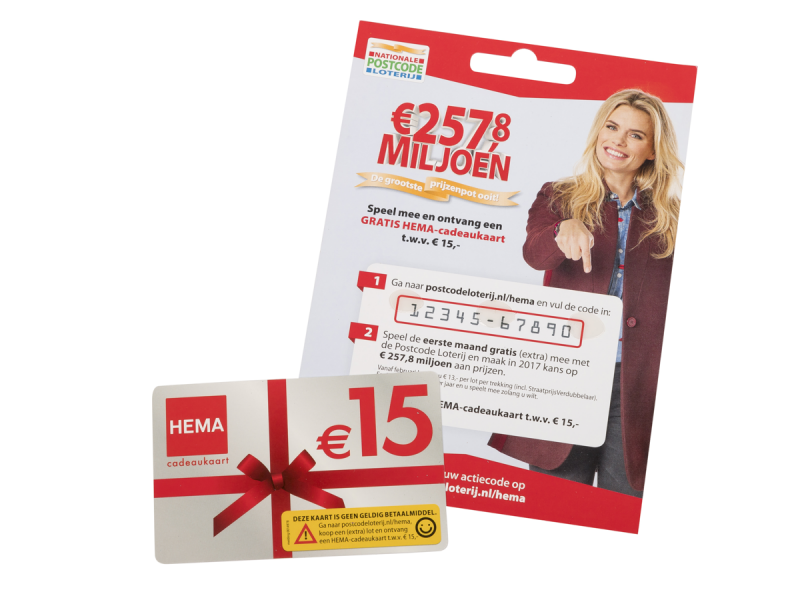 For this reason, many retailers make use of collectable stickers in their loyalty promotions. 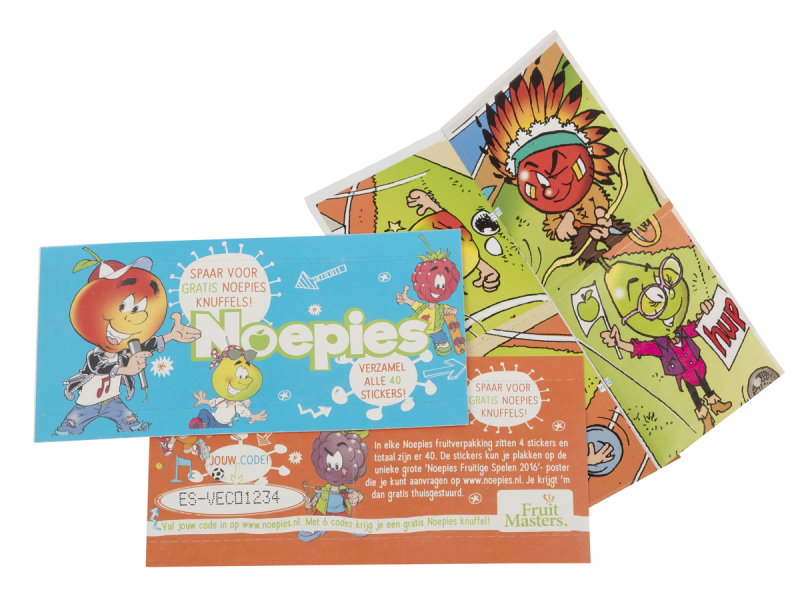 We offer this gift card as an effective marketing tool. 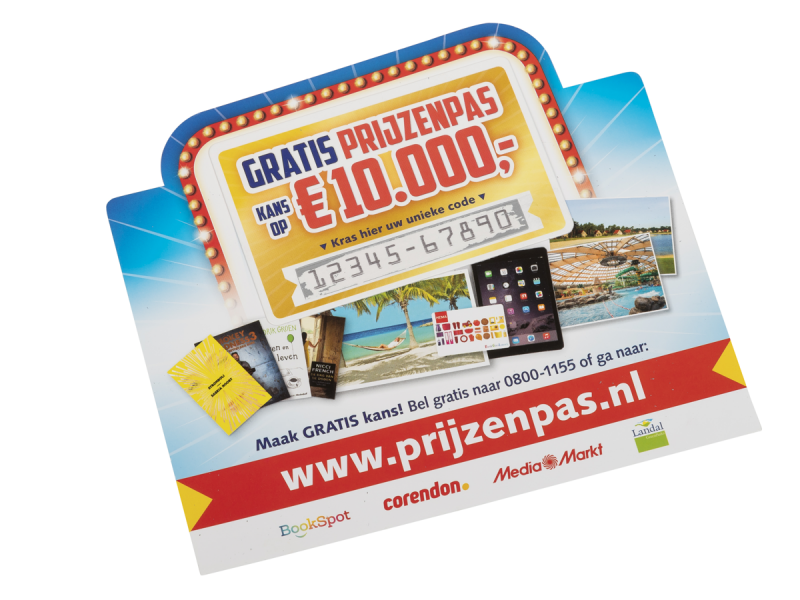 Whether it is used for generating leads, traffic, upselling, cross-selling, loyalty or membership recruitment. 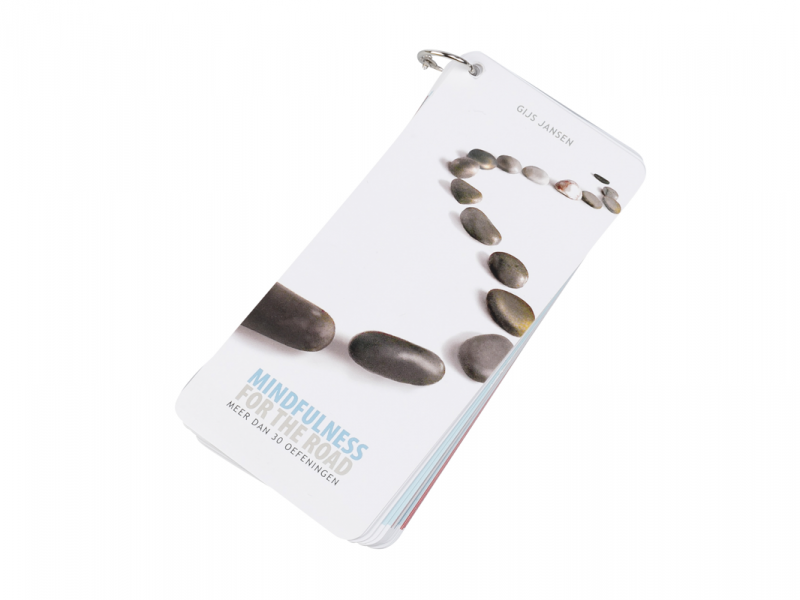 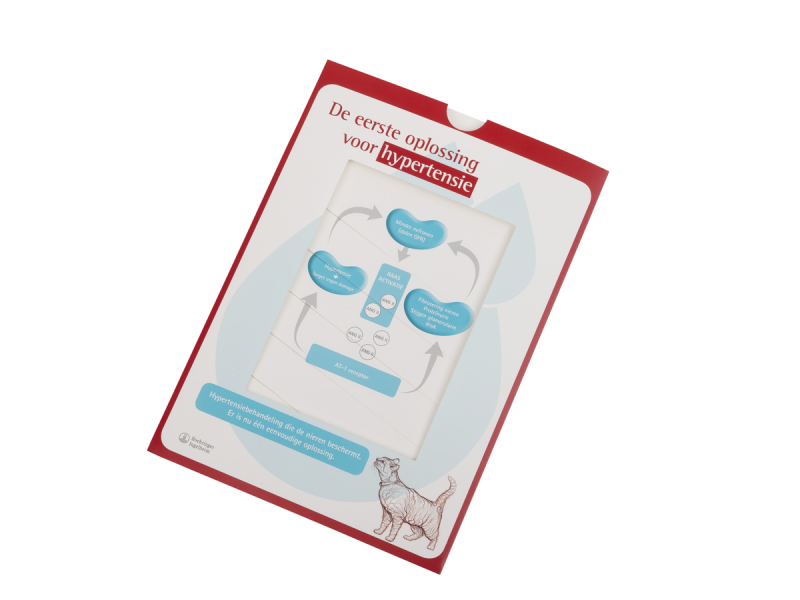 The Infinity card or infinite flipper is a special product in our catalogue. 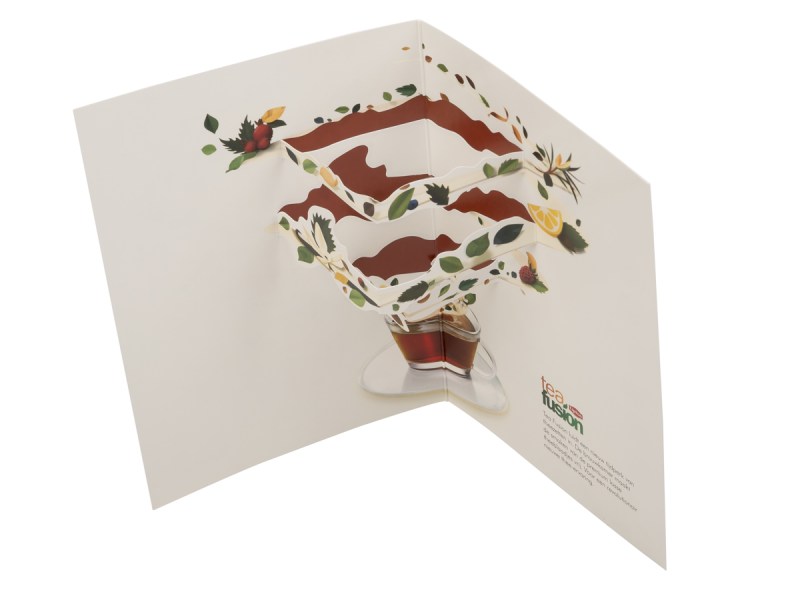 The unique way in which it is folded creates a surprising and playful product. 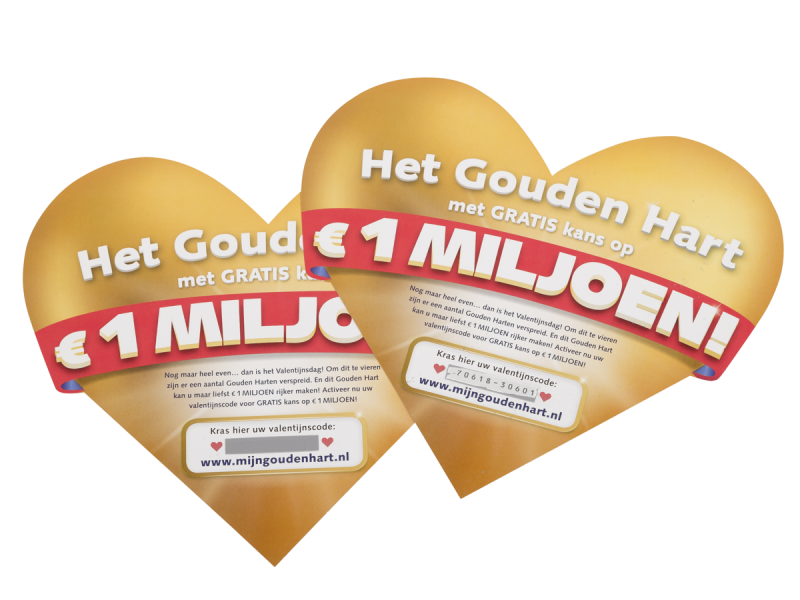 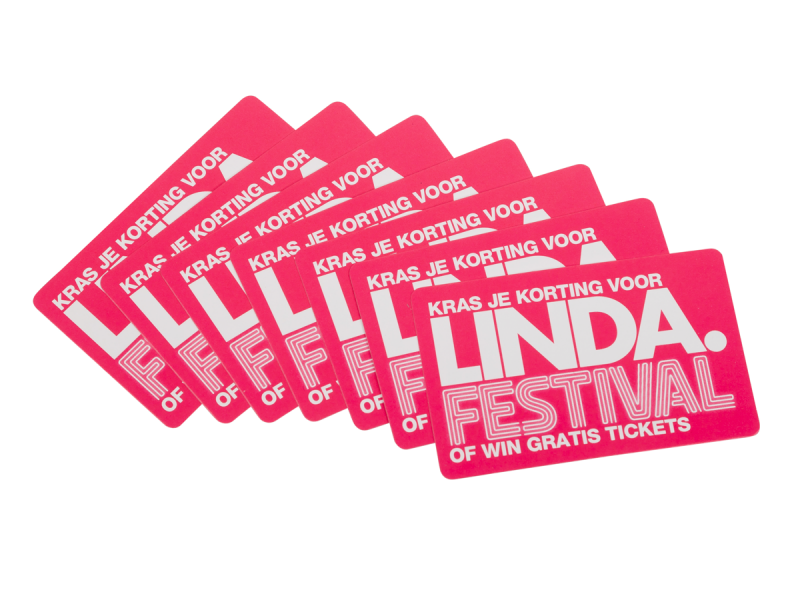 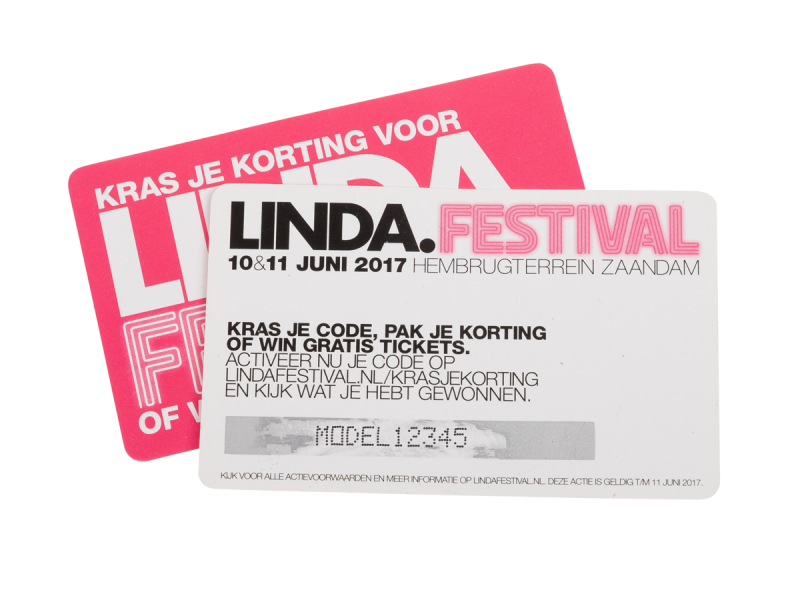 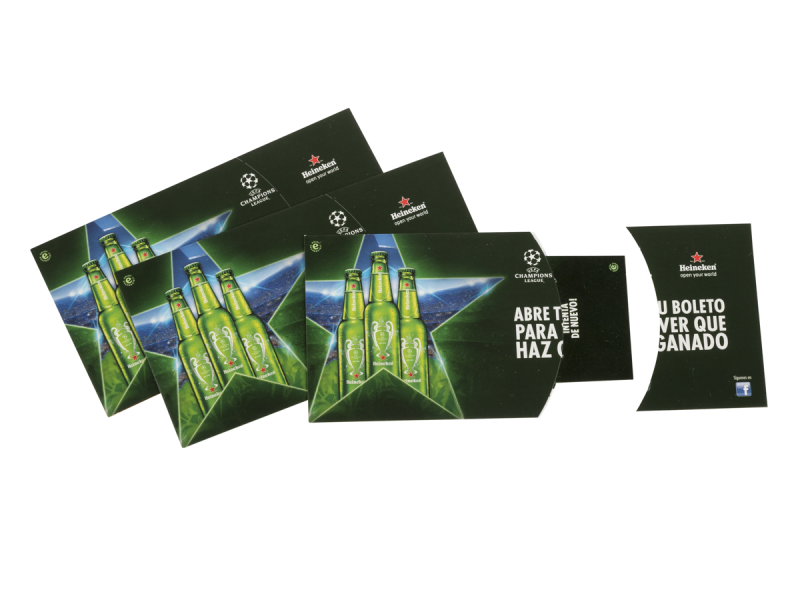 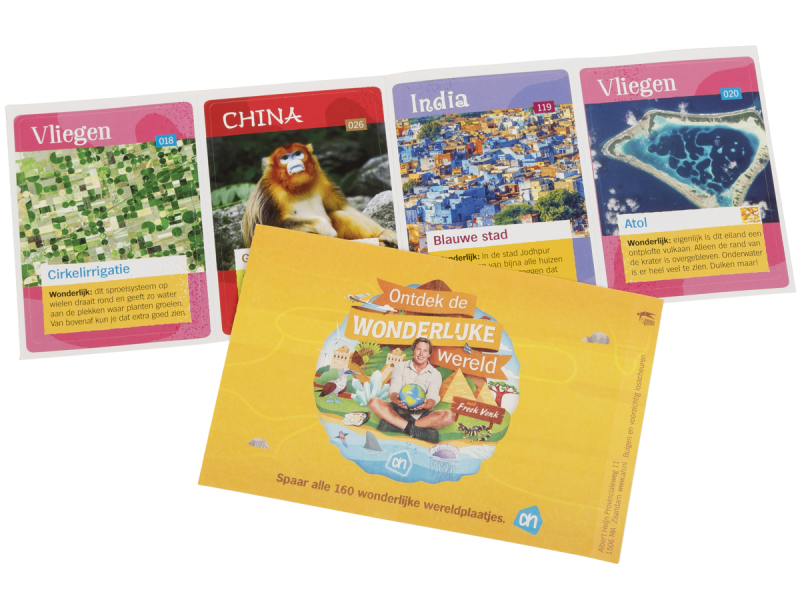 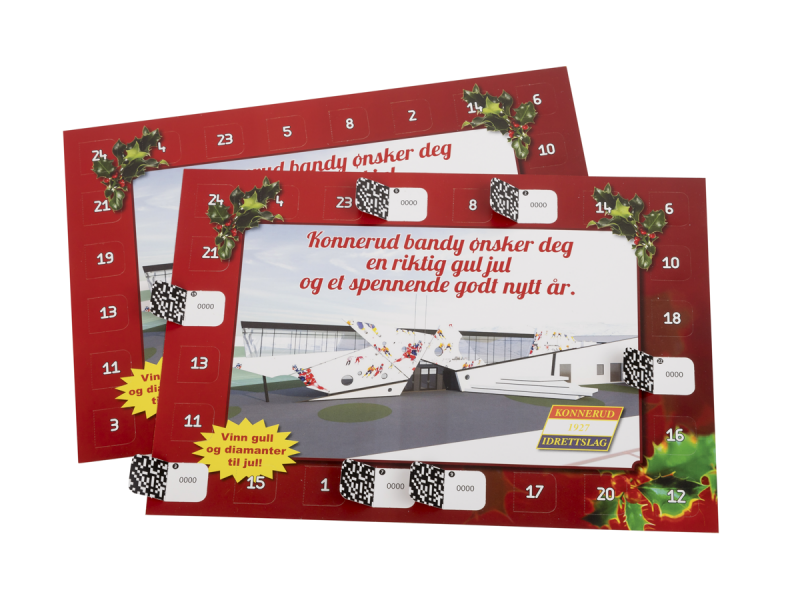 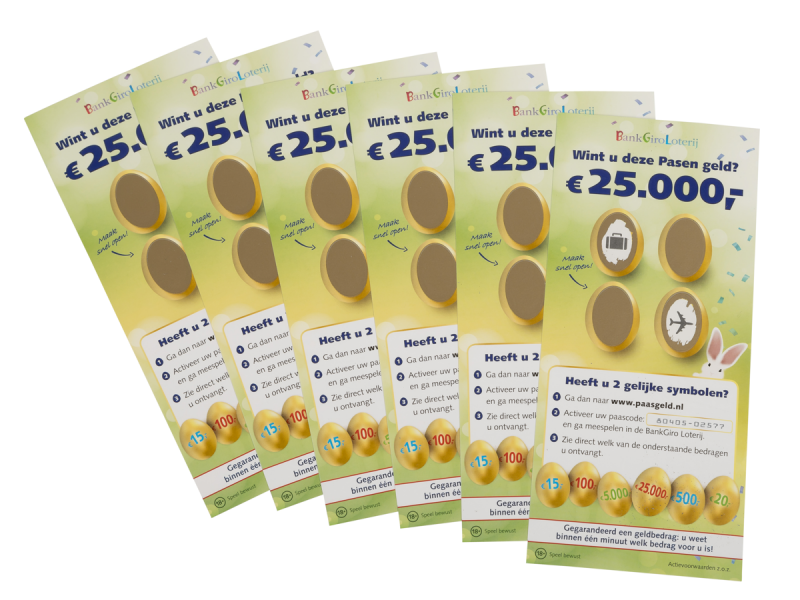 The break-open ticket is the counterpart to the well-known scratch card and offers more space for promotional messages. 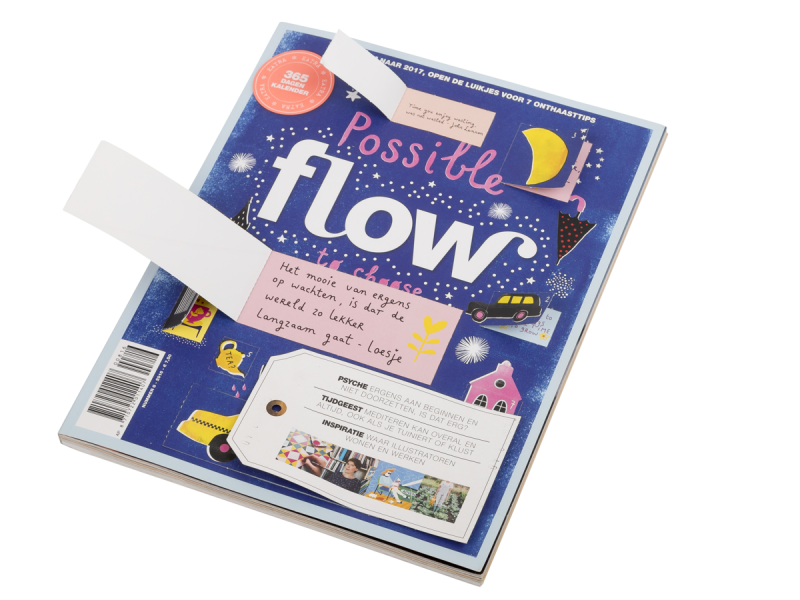 A cover with shutters is a playful way to increase the success of your magazine. 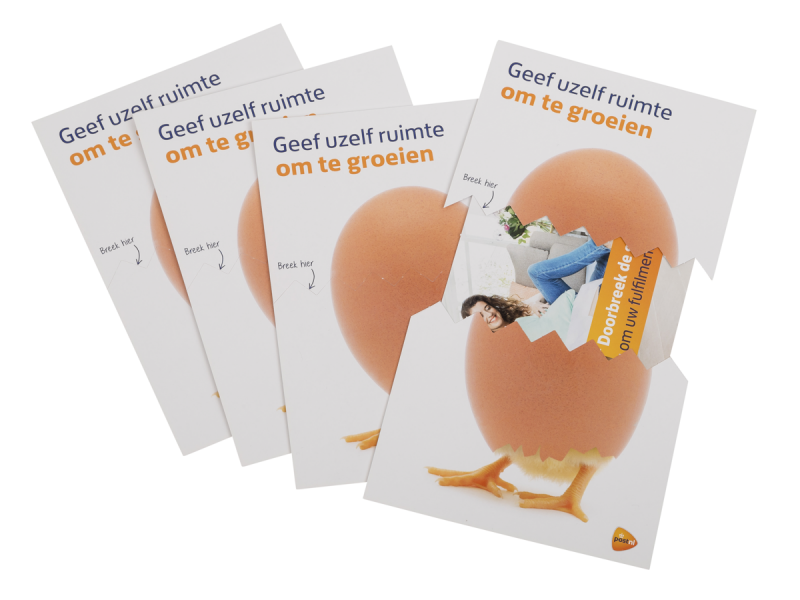 Sliding cards are ordinarily used as self-mailers. 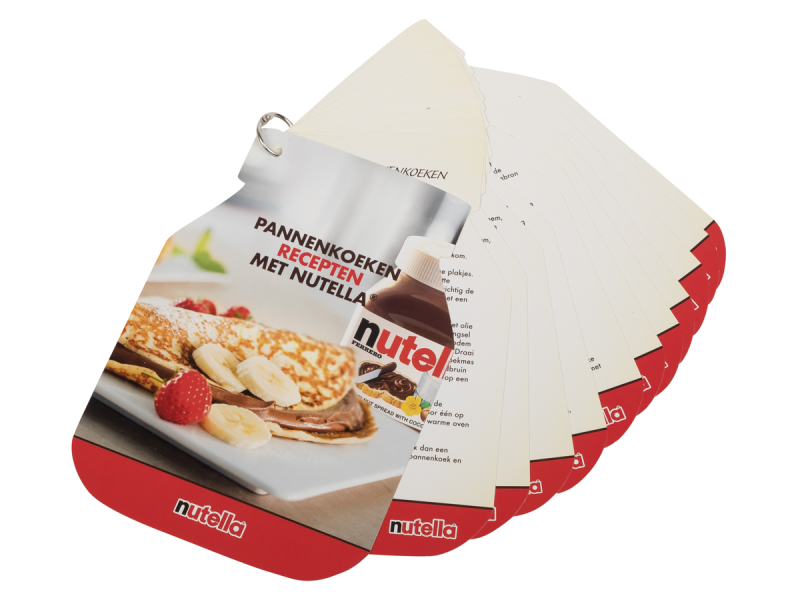 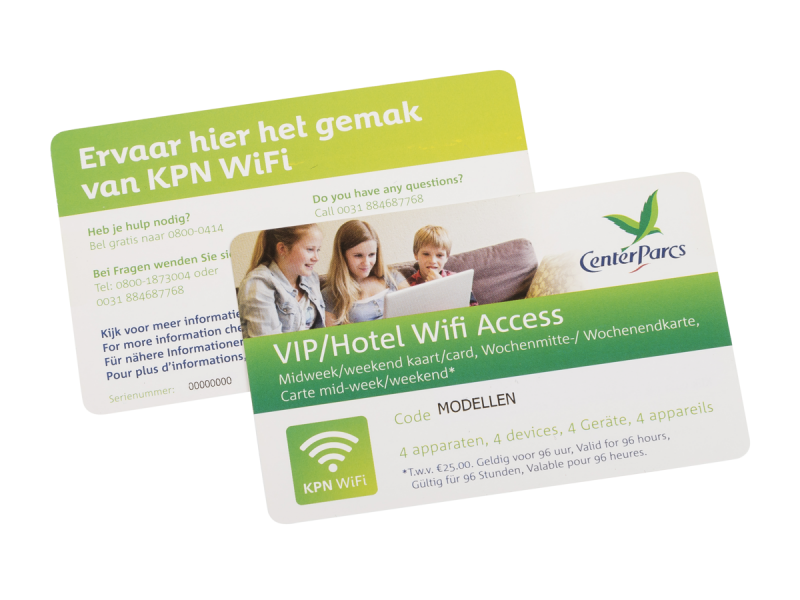 The eye-catching techniques used in sliding cards ensure a high level of attention in customers. 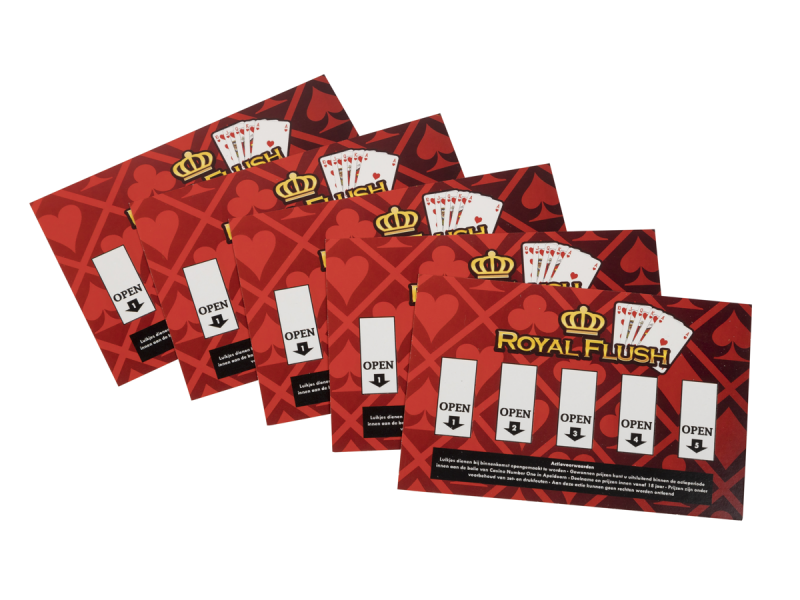 Custom playing cards have a long and successful history as a promotional tool. 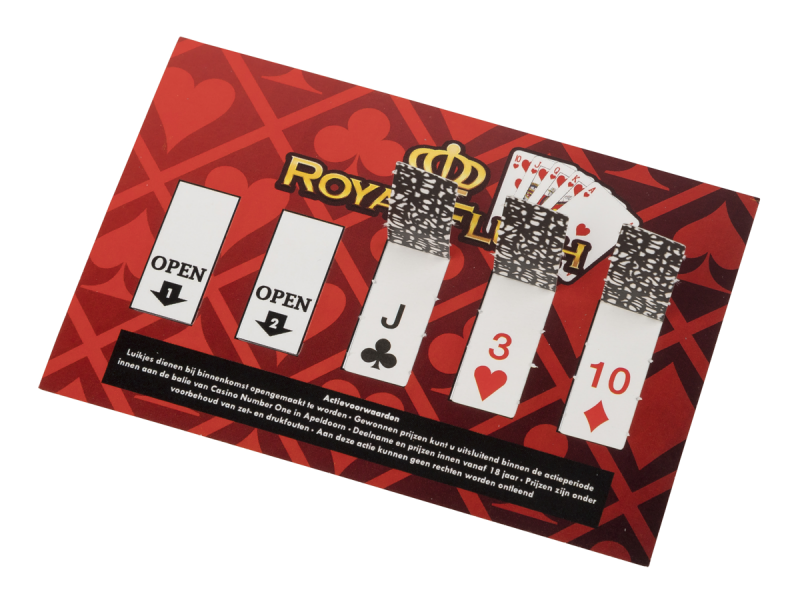 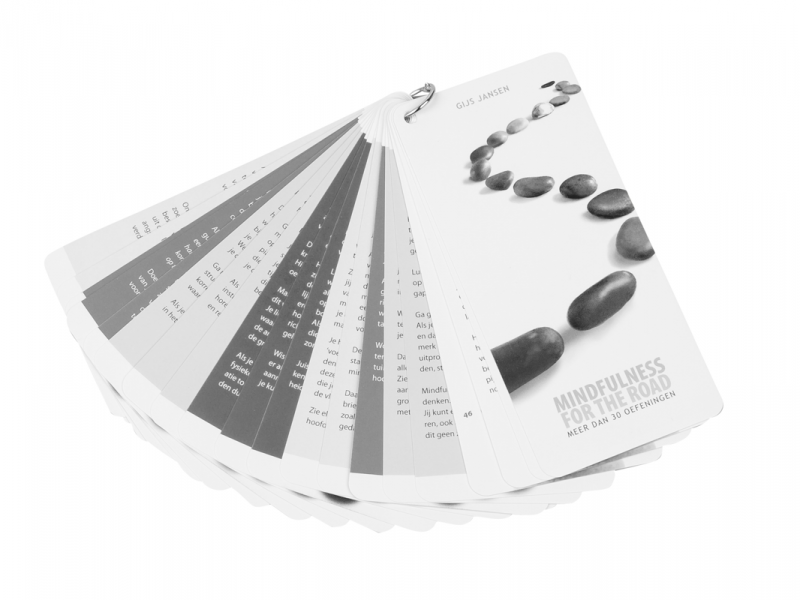 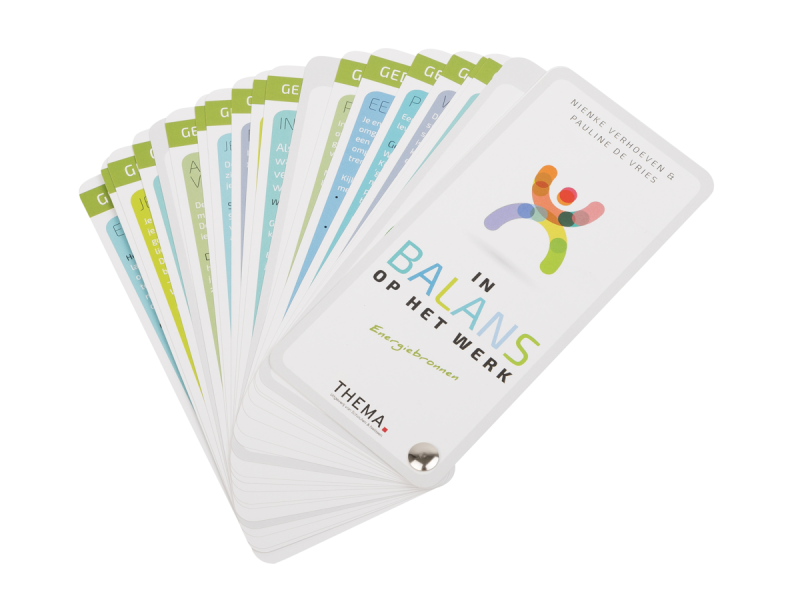 A playing card with your marketing message is guaranteed to have a high level of attention. 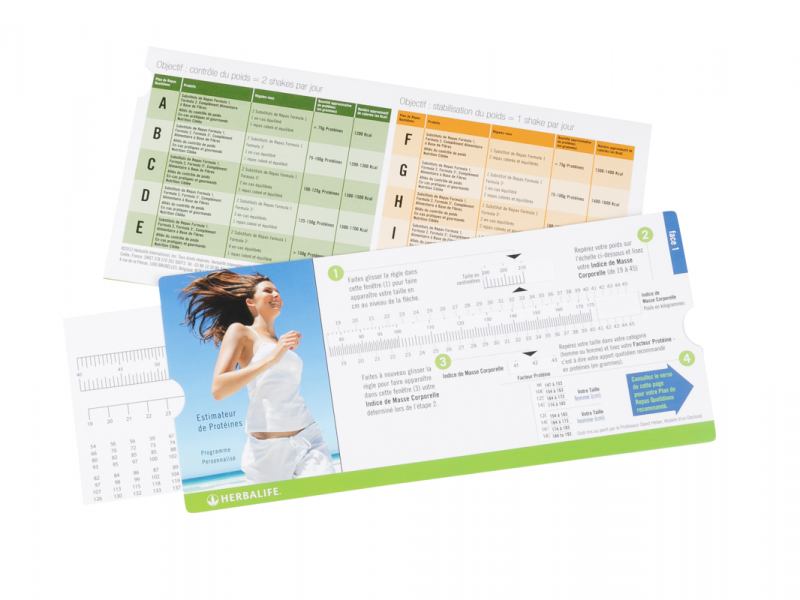 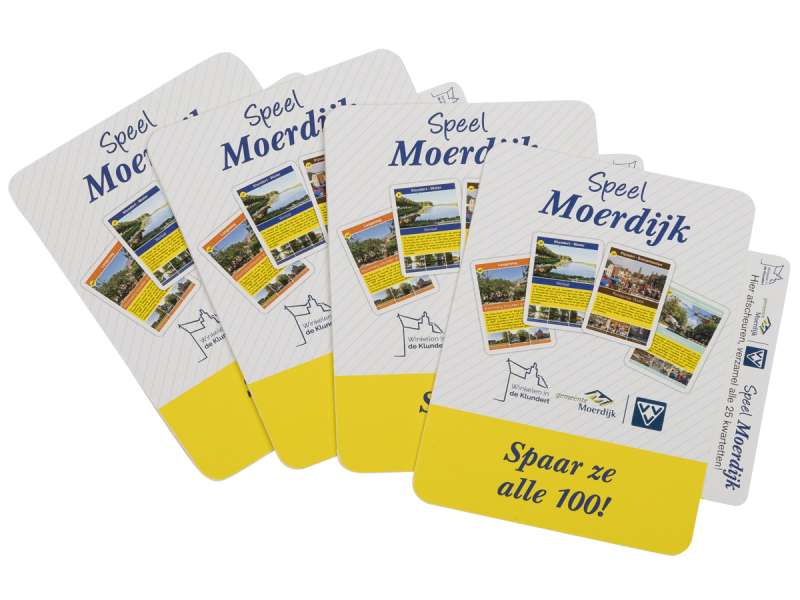 A break- and slidecard is punched card with a unique design aimed to surprise and excite anyone who opens it. 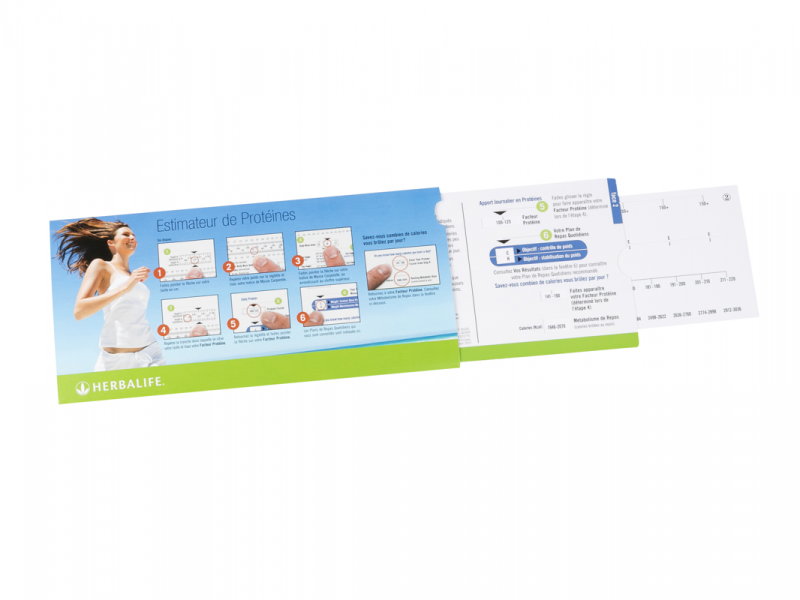 The lamellae card is a card that stands out between the other direct mail cards. 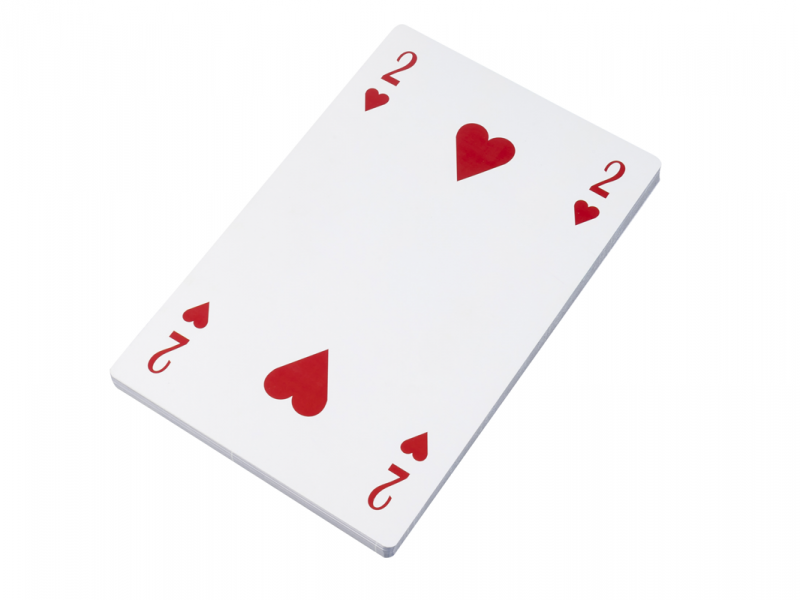 The telescope card is named as such because when extended fully the card resembles a telescope. 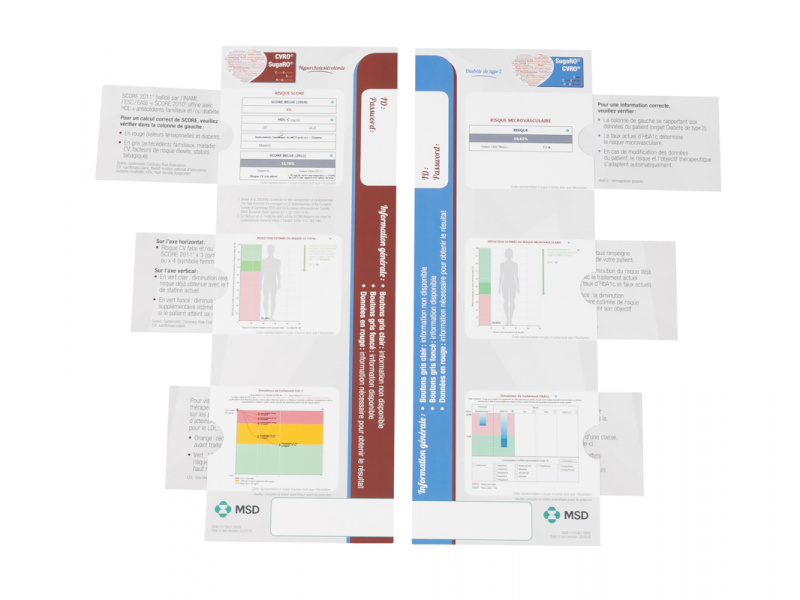 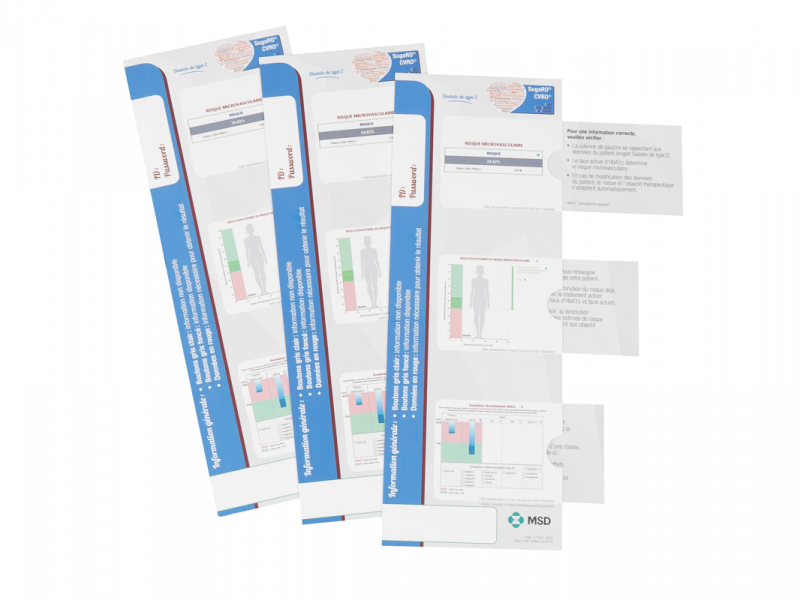 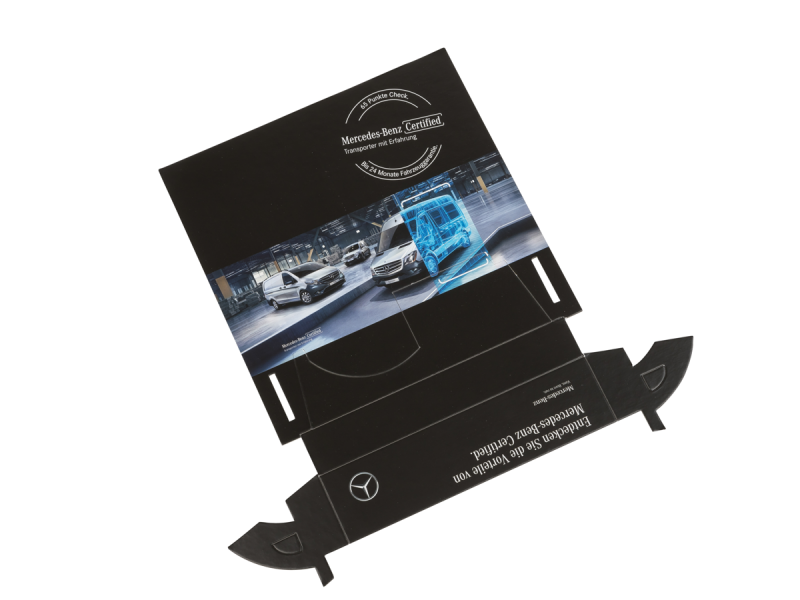 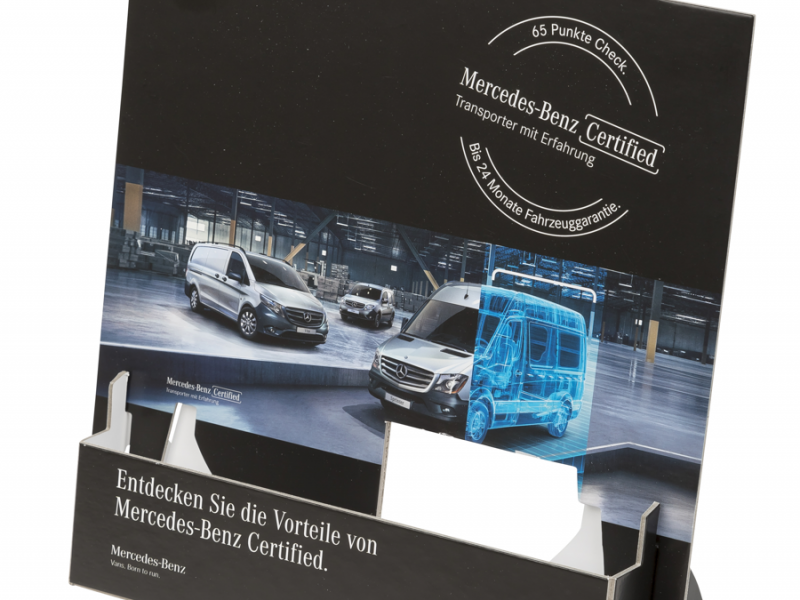 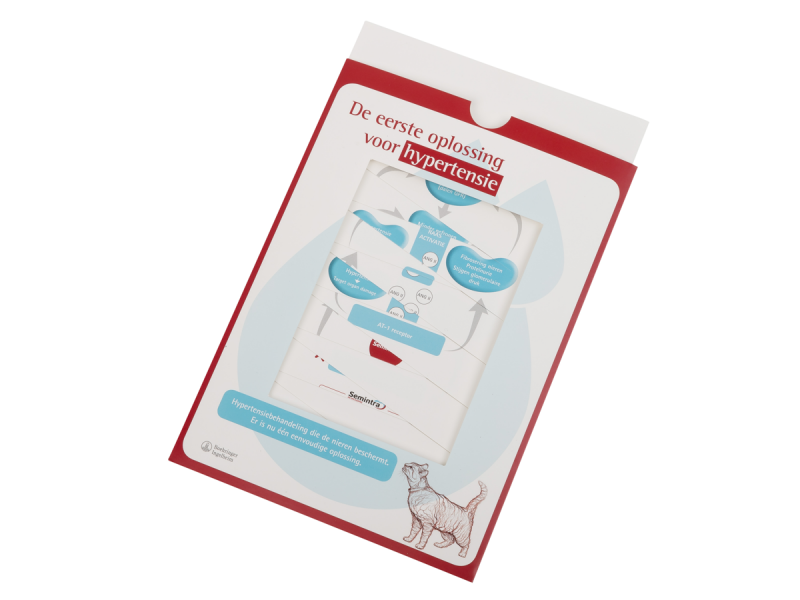 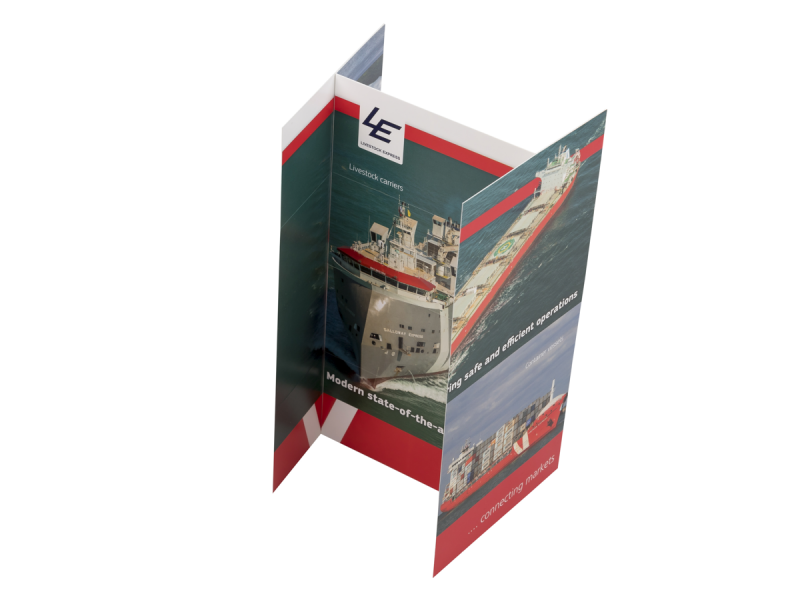 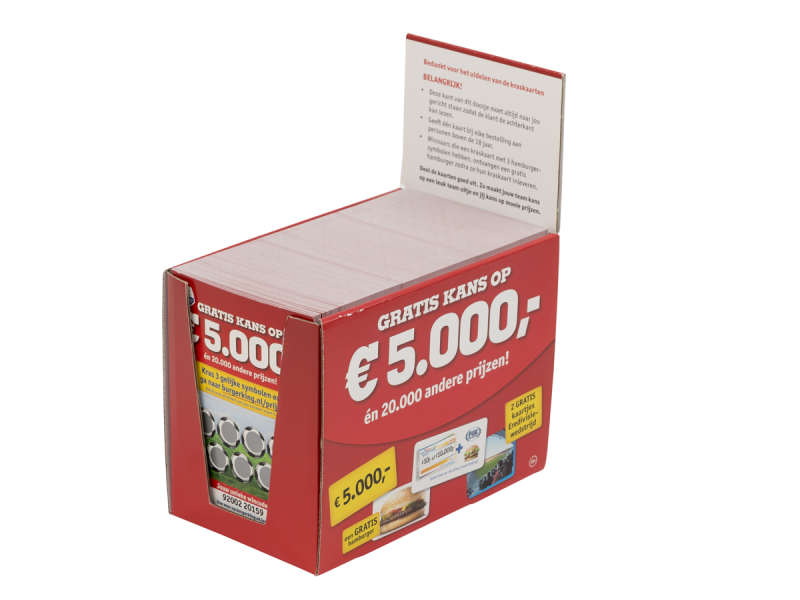 The pop-up card is often used as direct marketing tool or mailing. 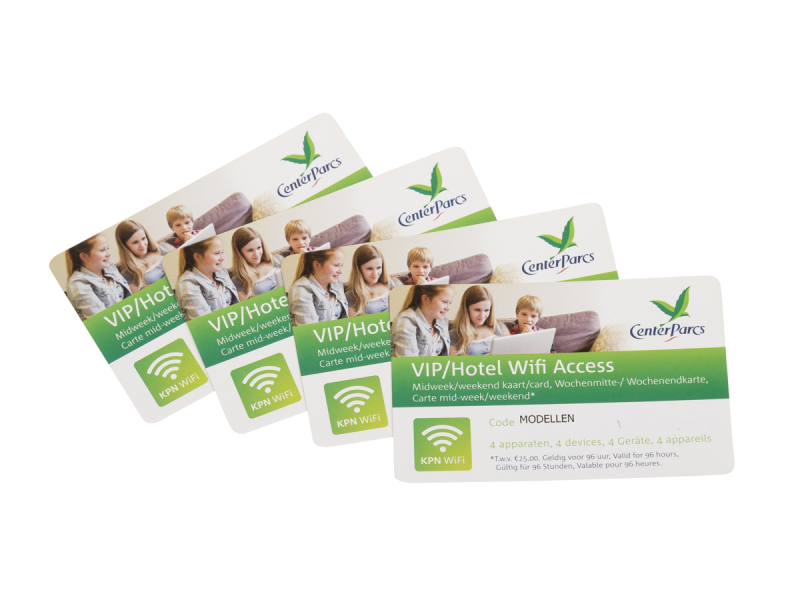 The credit card sized cover card is most commonly used on the cover of magazines or books. 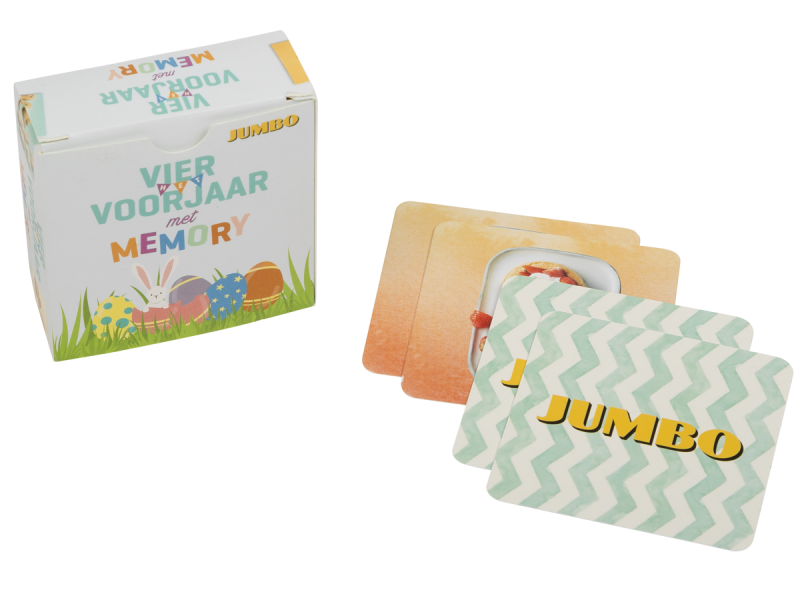 Code cards each contain, as the name suggests, a unique code. 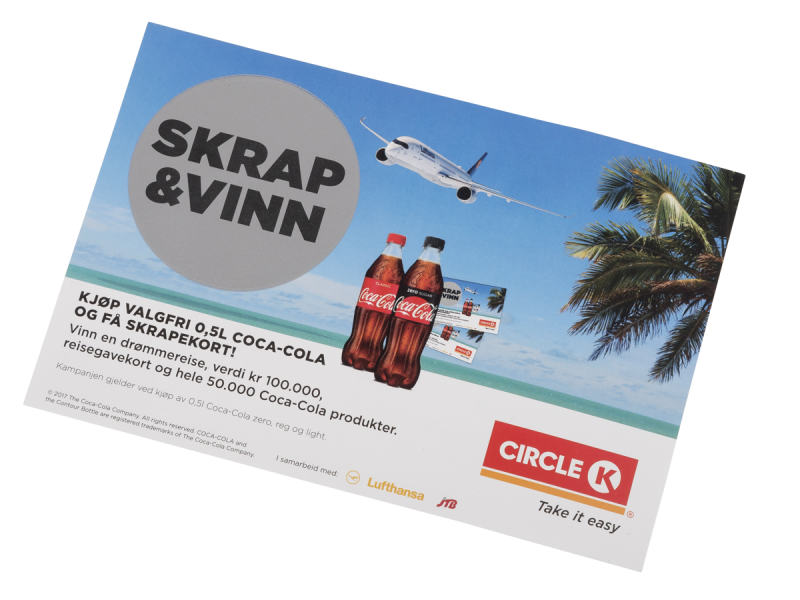 This makes them the perfect solution regarding transmedia marketing campaigns. 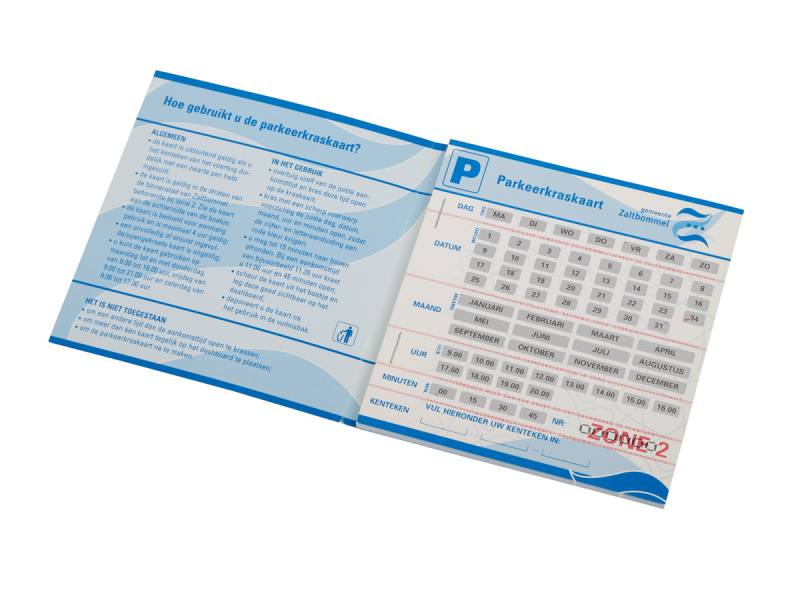 A telephone card is a scratch card with one or more unique codes. 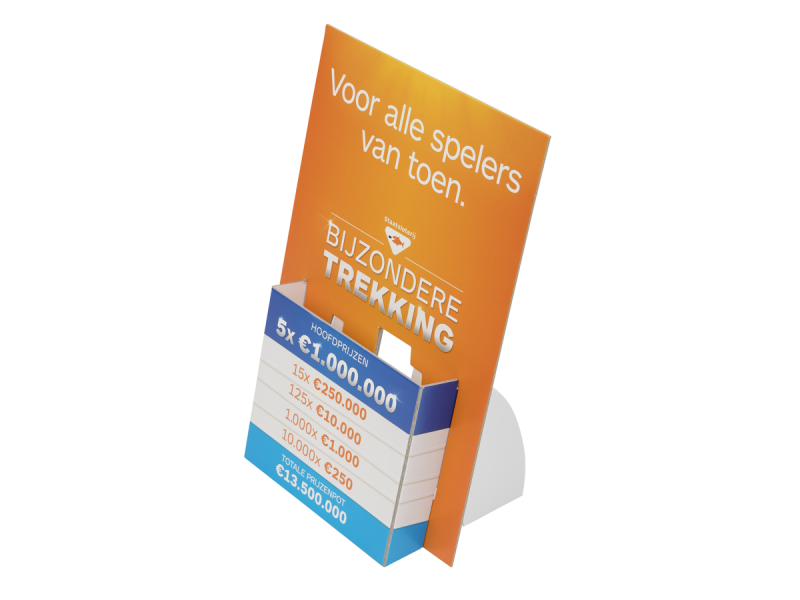 Twist & Turn displays are shop counter displays with an integrated flyer holder. 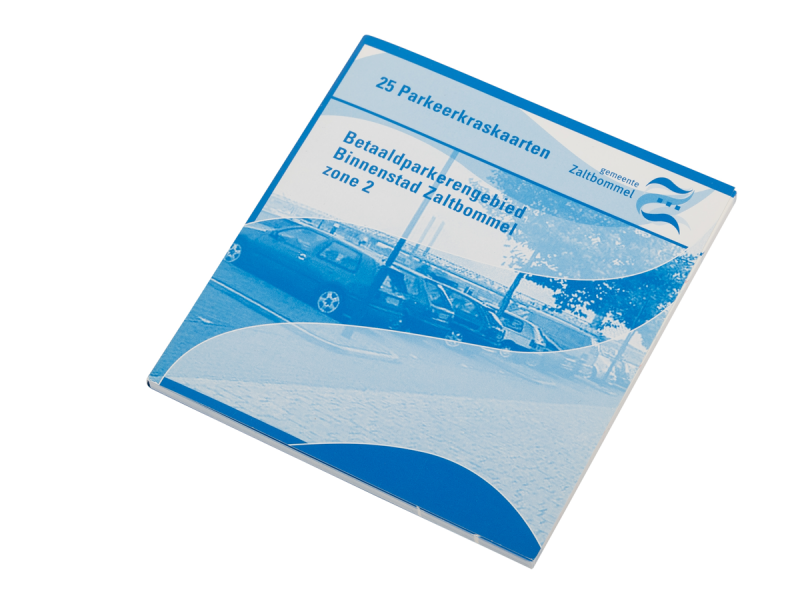 Due to the intelligent design of the turn mechanism only one side needs to be printed. 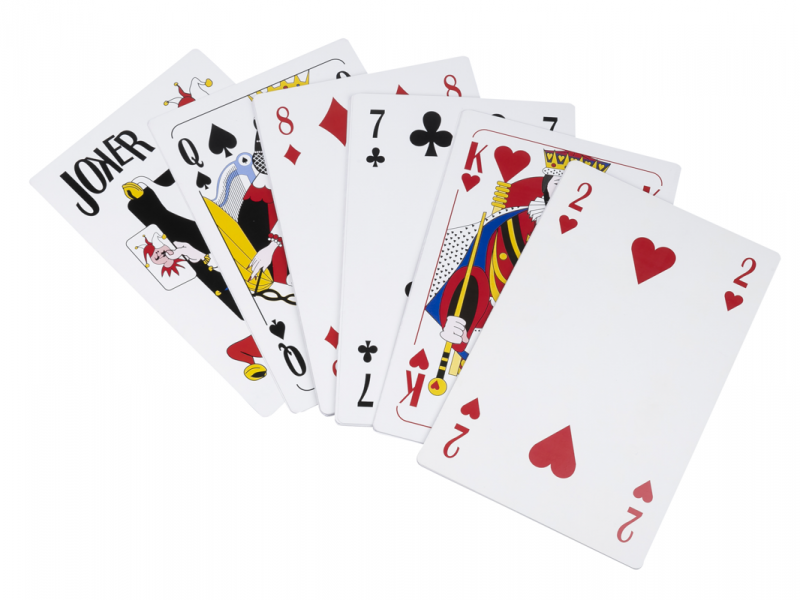 Quartets, or Top Trumps, is still a very popular game. 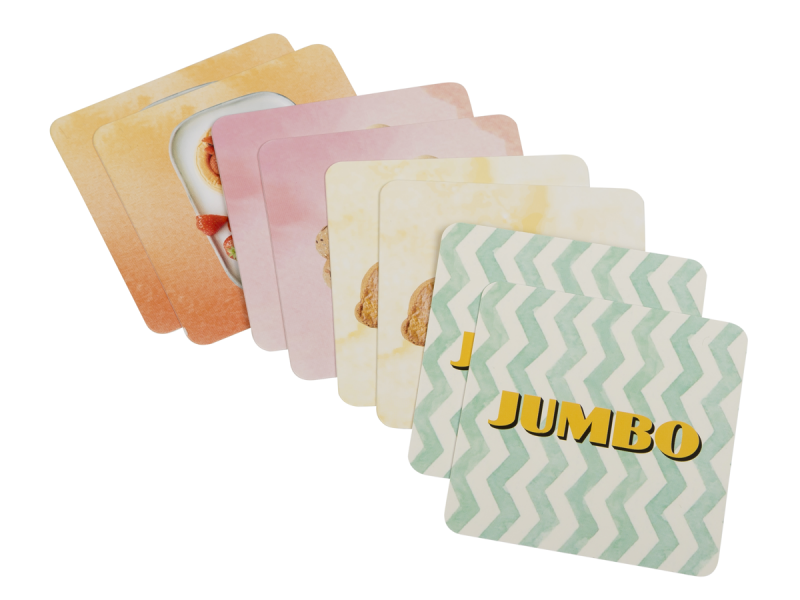 Sets are commonly used as a promotional product due to their longevity and replayability. 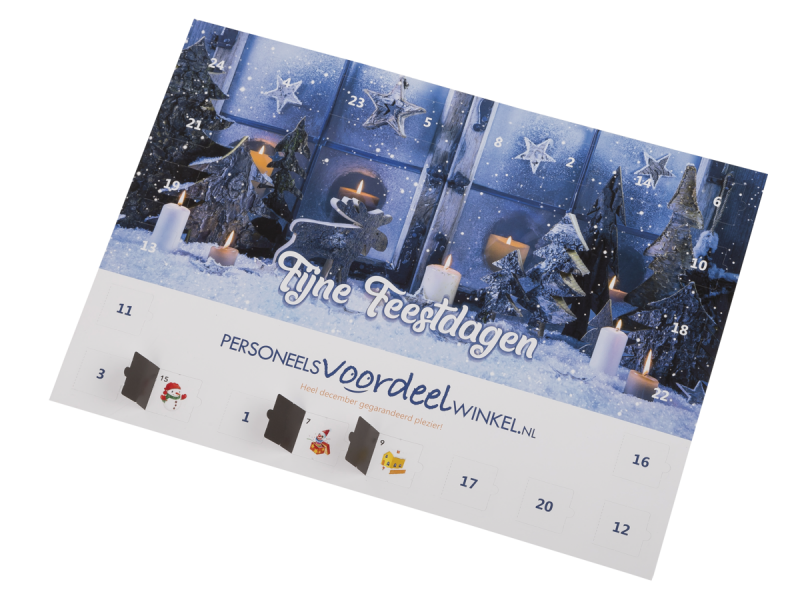 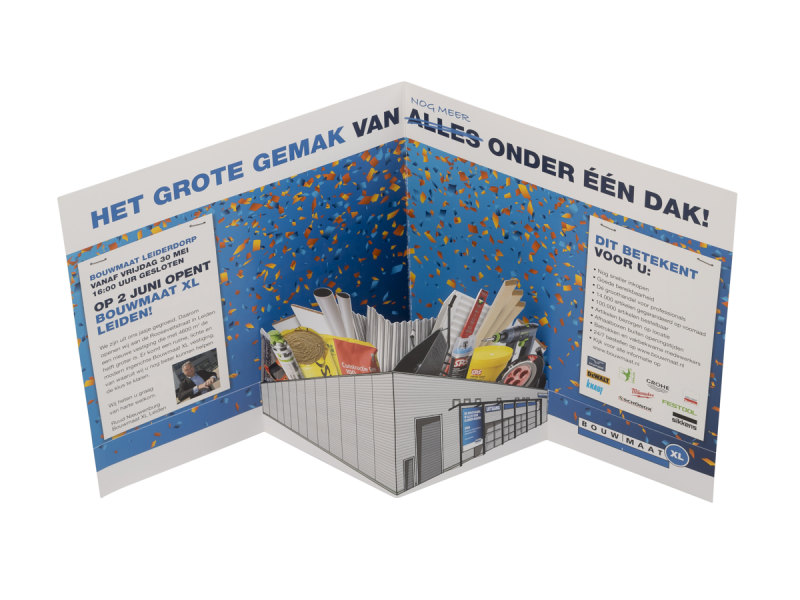 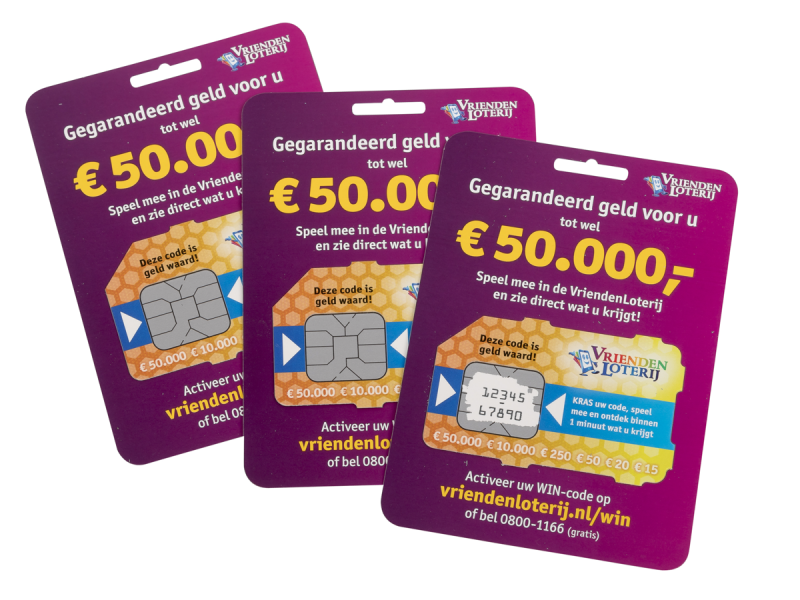 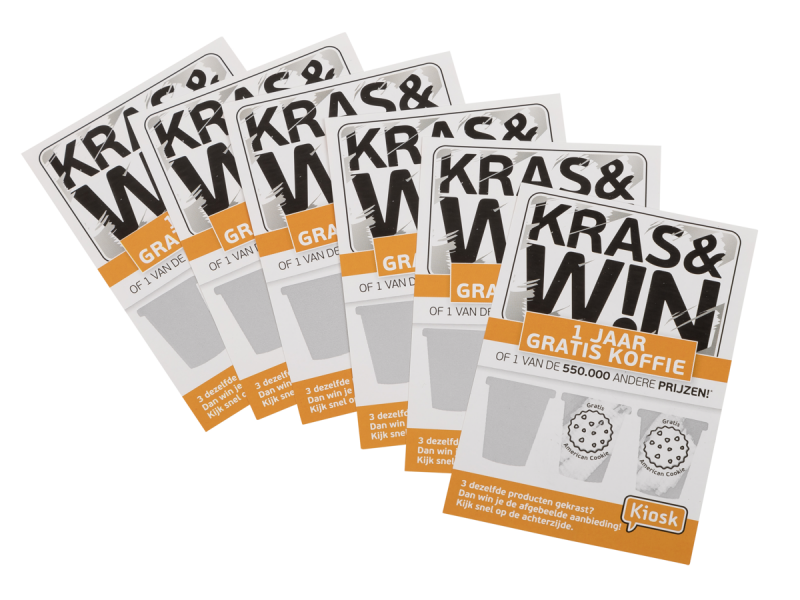 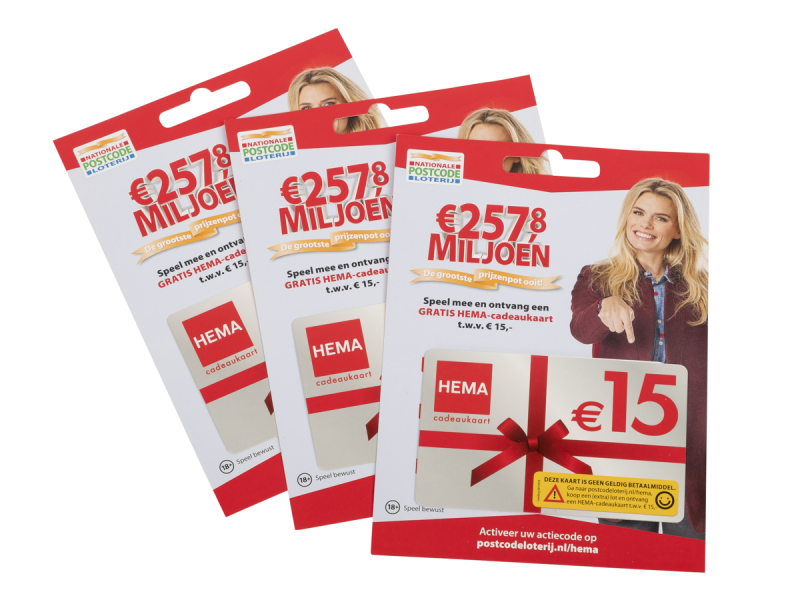 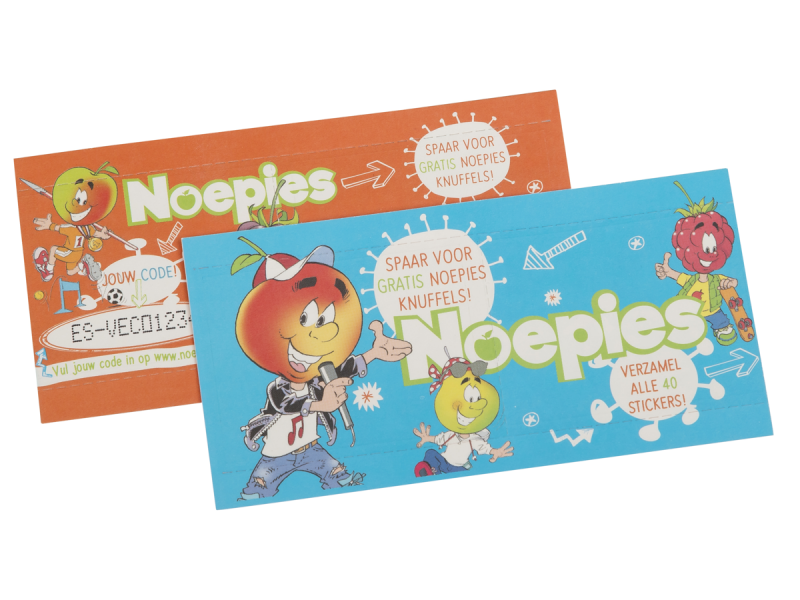 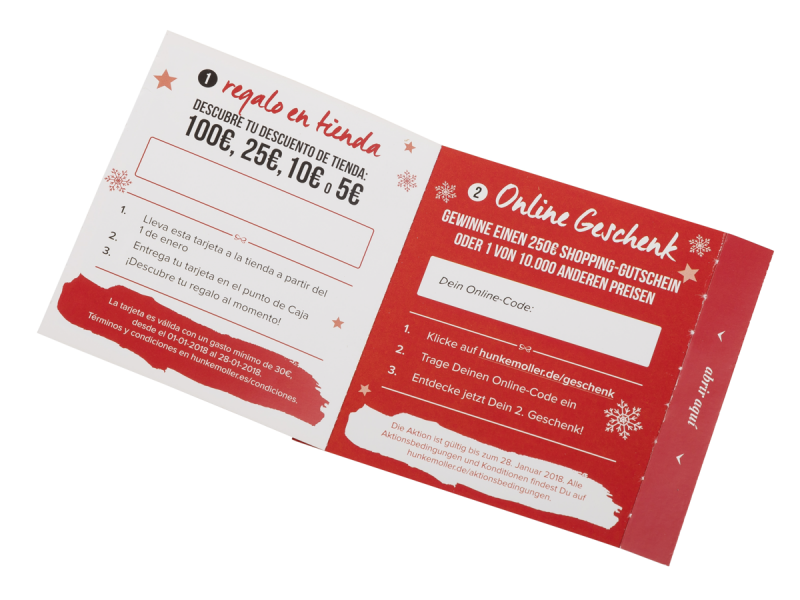 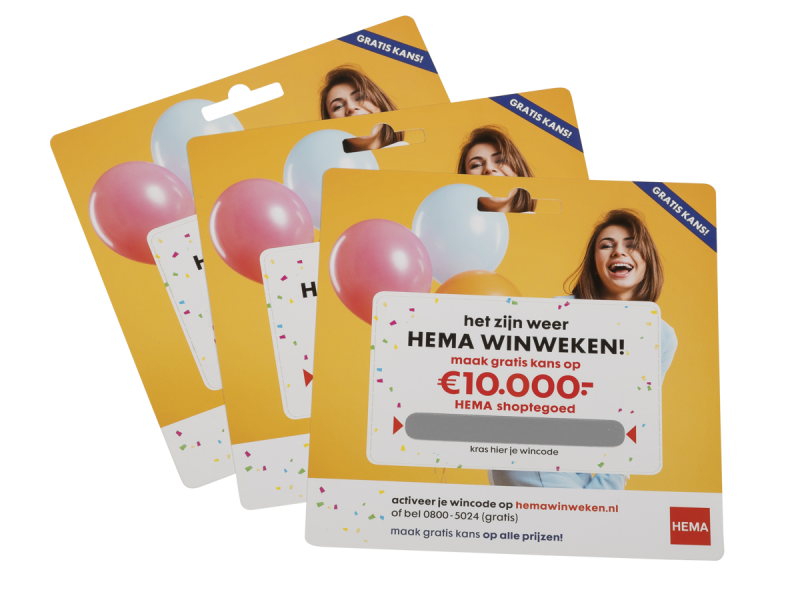 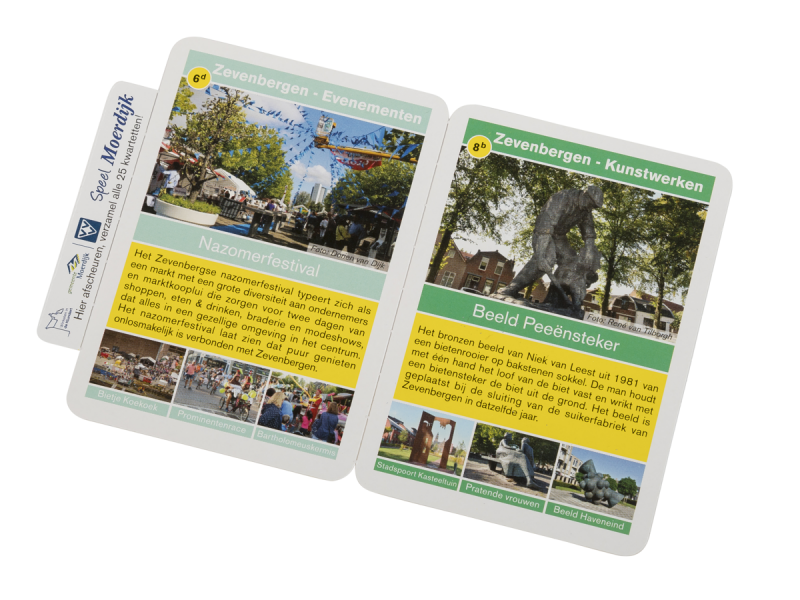 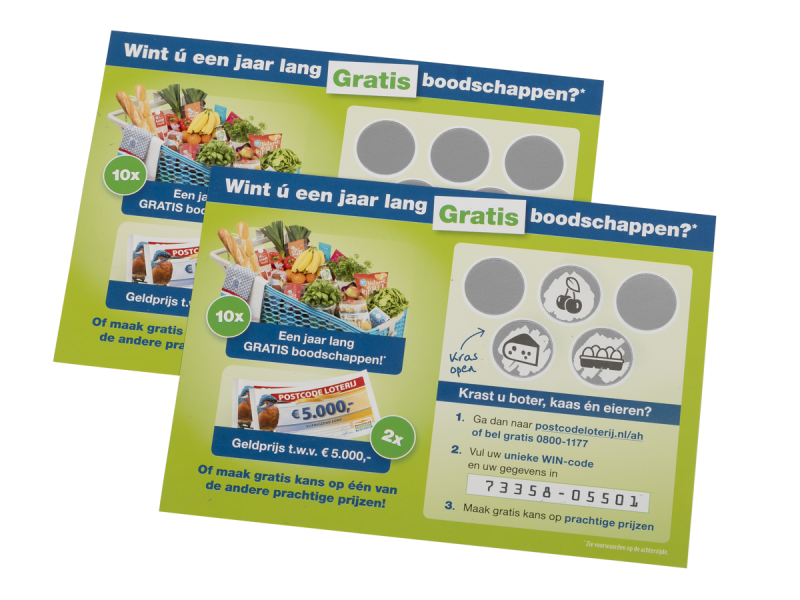 Esveco Specialties has produced scratch parking cards for many city council governments both inside and outside the Netherlands. 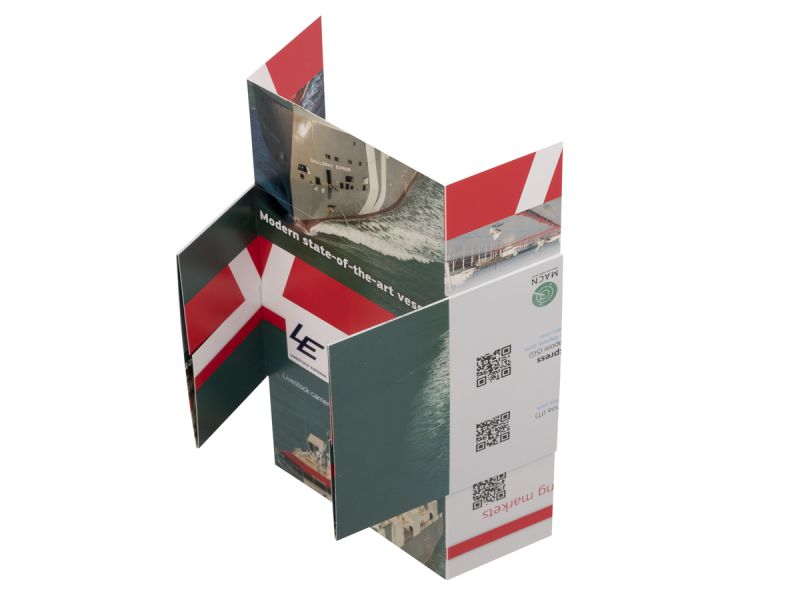 Foldable fan decks are known for their usage in paint or hardware stores where they are used to present the customer with the array of available paint colours.